21 Feb 2017 Washington, D.C. Leaked memos from the Department of Homeland Security (DHS) discuss methods to more effectively deport illegal aliens through a streamlined process. The memos, which are only drafts that have yet to be reviewed by President Donald Trump’s White House, outline a list of a guidelines to follow to speed up the deportation process, according to the Washington Post. “The surge of immigration at the southern border has overwhelmed federal agencies and resources and has created a significant national security vulnerability to the United States,” DHS Director John Kelly reportedly states in the memos. 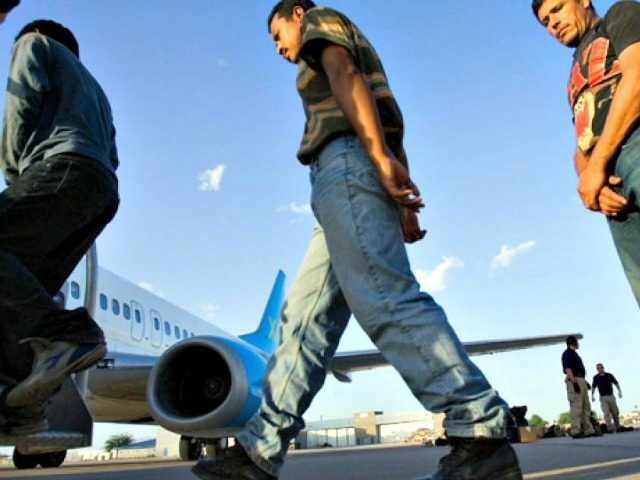 Not only is DHS looking to increase the number of immigration officers, it is also interested in expanding the number of illegal aliens eligible for prioritized, fast-tacked deportation hearings. In the memos, Kelly notes a monthly surge of 10,000 to 15,000 illegal alien apprehensions by U.S. Border Patrol at the southern border between 2015 and 2016. In the last three years alone, some 155,000 unaccompanied minors have arrived at the southern border. Under DHS’ new guidelines in the memos, parents of unaccompanied minors living in the U.S. would be prosecuted if they paid human smugglers to help their children cross the border. Kelly asks in the memos that the Trump Administration seek every means necessary to obtain funding for the proposed southern border wall, which is projected to cost up to $20 billion. In speeding up the deportation process, DHS will ask the administration to allow them to use “expedited deportation proceedings” for any illegal aliens living in the U.S. for two years or less. The process is currently limited to those only living in the U.S. for up to two weeks. Kelly is also looking to turn-back illegal aliens who try to cross the U.S. border while they await a ruling on their deportation hearings–saving resources that would normally be used for detention centers.